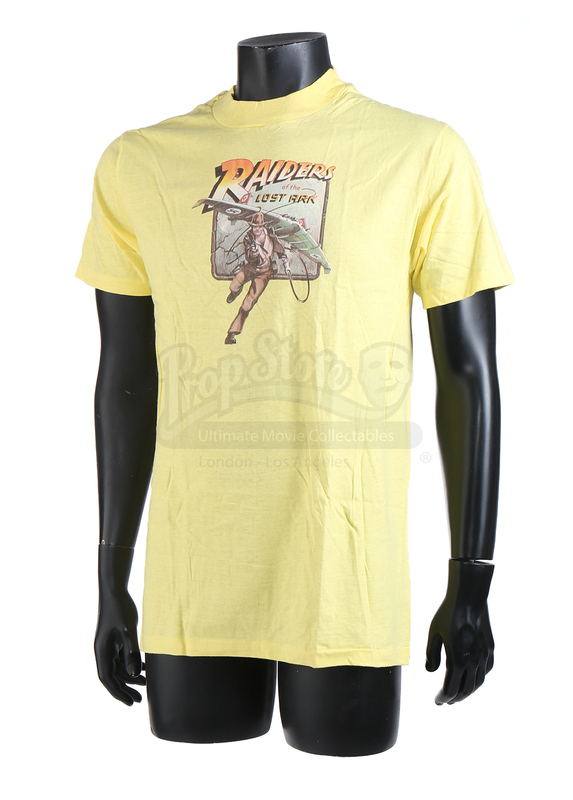 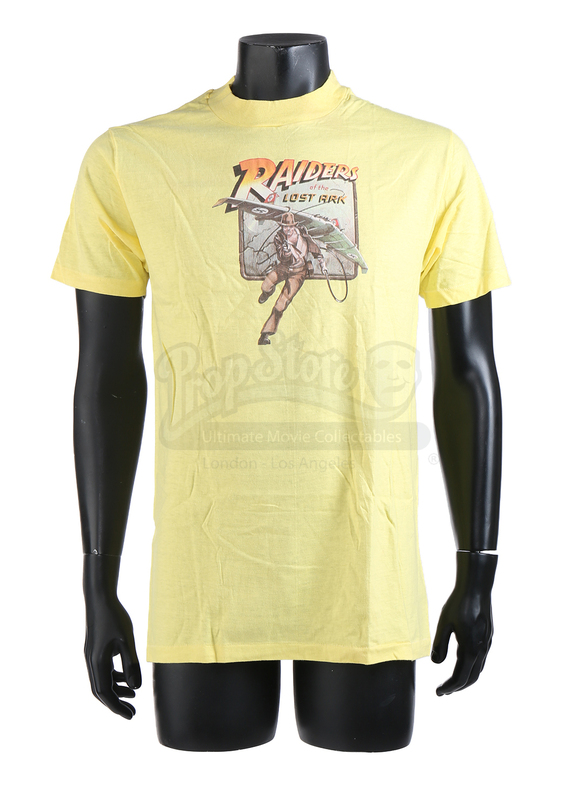 A prototype crew shirt from Steven Spielberg’s Indiana Jones and the Raiders of the Lost Ark. 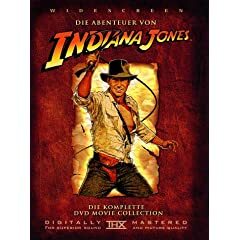 In the film, Indy (Harrison Ford) is in a race to find the Ark of the Covenant before the Nazis can get to it. 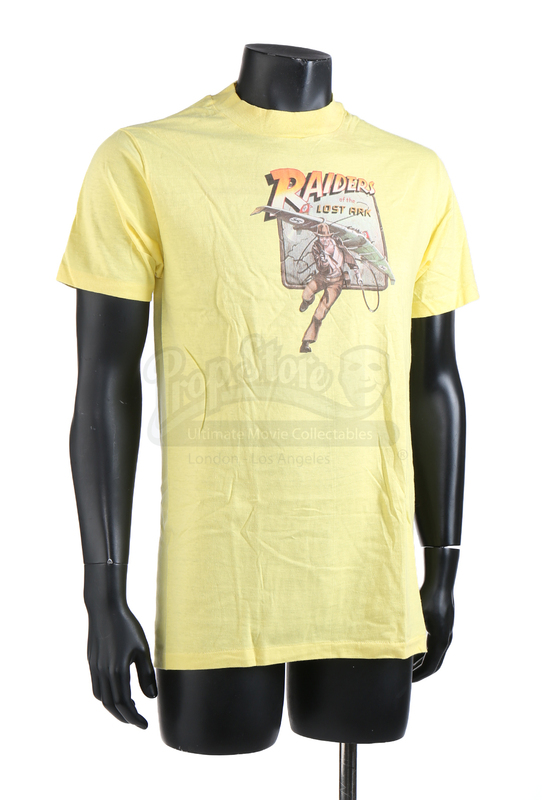 Shirts like these were gifted to crew members who worked on the production of the film. 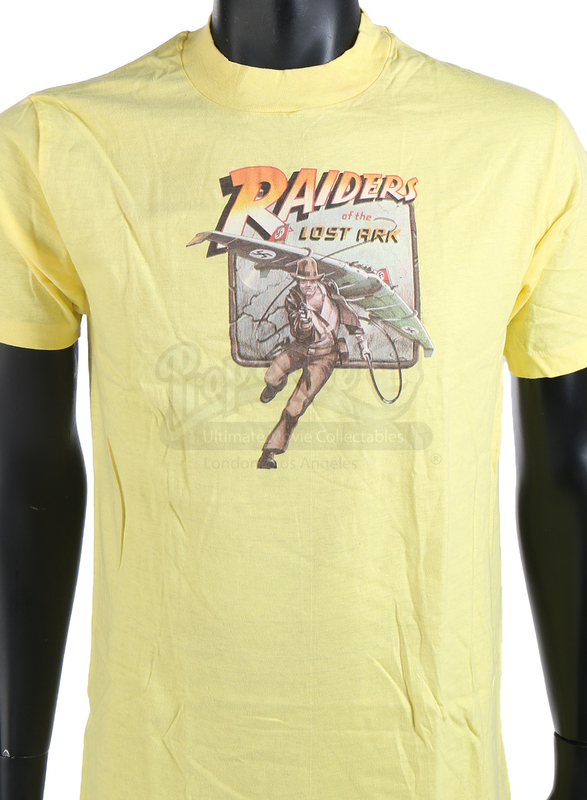 The shirt is yellow and features the Raiders logo on the front, with a picture of Indiana Jones, pistol pointed and whip in tow, as a Nazi jet soars over him in the background. This shirt is a size large (L) and was ultimately never produced in bulk. 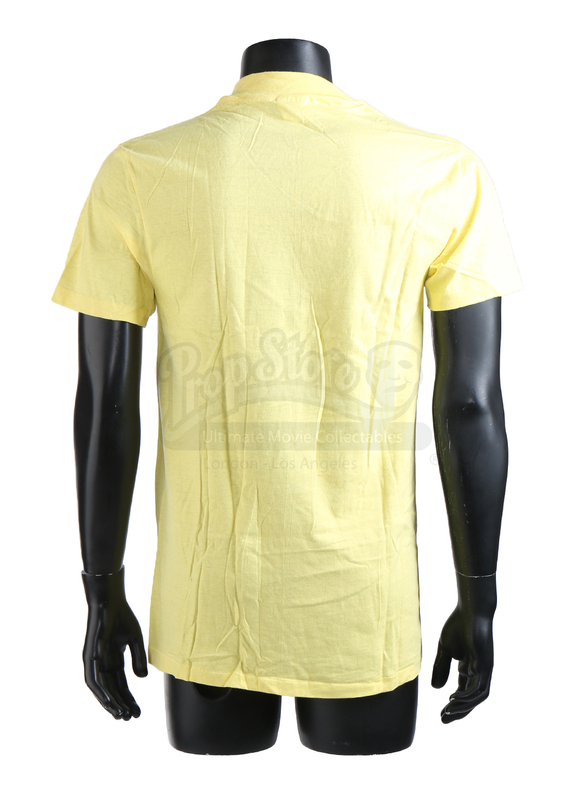 The shirt remains in excellent condition.